Be still my beating heart. We’ve got bacon, a fried egg and udon noodles. 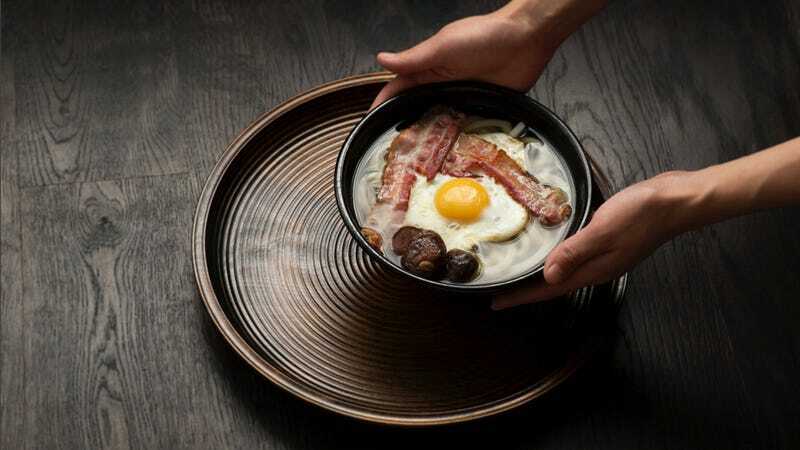 As recently noted on GNavi, Japanese restaurant Koya Bar in London serves up a very special English breakfast: fried egg, bacon and shiitake udon. I love fried eggs. I love bacon. I love shiitake and, goodness, I love udon. All this sounds, and looks, utterly delightful. I’m definitely going to make this at home here in Japan.